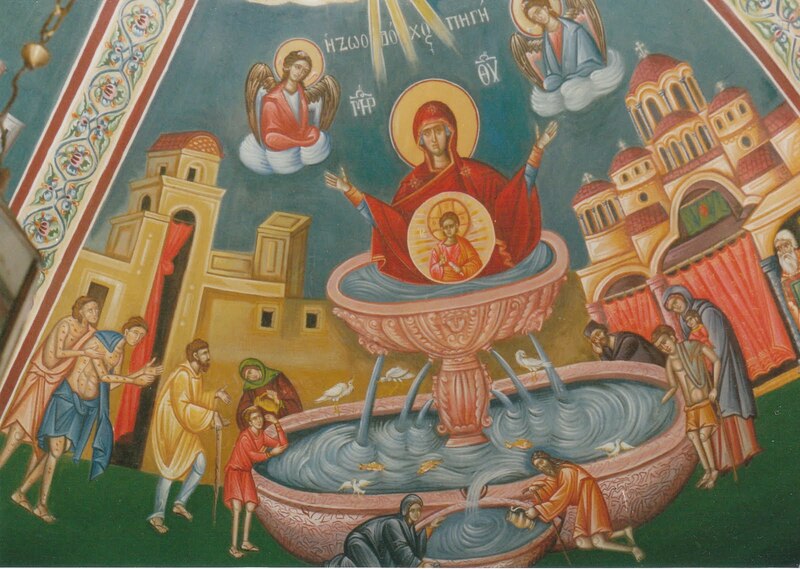 Central Idea: Let us honor the maiden from Nazareth because she is the Mother of the Eternal God. Doctrine: Mary the Mother of God or the Theotokos. Practical Application: Honoring Our Lady. R/ (2a) May God bless us in his mercy. To be blessed by God means to have God look at you. God’s “face” shines and imparts good things: grace, preservation, guidance, fairness, kindness, mercy, and peace. God is known and followed due to the blessings he imparts on human beings. We hold Mary in the highest esteem because she is the instrument through which we fallen human beings have gone from being slaves to sin and death to adopted sons and daughters of God. This came about because we were ransomed by the Son of God who was born of this woman, the Blessed Virgin Mary. To be a son of God, an heir, is the greatest favor we can receive. It is the fullness of the promise that the saints of the Old Covenant awaited. Besides Mary and Joseph, only the lowly shepherds know about the appearance of the savior at first. The shepherds announce to their peers what the angel an announced to them: the Davidic savior was born. In AD 431, at the Council of Ephesus, the Church formally defined a doctrine she had long believed: Mary is the Mother of God. The maiden from Nazareth is the Mother of the Eternal God. Each human person has three “parents.” At the moment of conception, your mother and father supplied what was necessary for your body, while God directly created your soul. The result was “you,” a bodily-rational person. Your parents provided the conditions for half of your human nature—your body—while God gave you your rational soul. But you rightly think of your mother and father as the mother and father of “you,” your whole person, not just your body. Your mother, because she carried you in her womb, totally cared for you when you were born, taught you so much, and, above all, loved you, formed you to such an extent that she is far more than half the source of your body. Thus, we do not speak of motherhood in relation to a human nature or a part of a human nature (the body), but in relation to a whole person. What about Our Lady? Once she said yes, the Holy Spirit created in her womb the human nature that God the Son would assume. This human body (from Mary) and human soul (from the Holy Spirit) were inseparably and forever joined to the Second Divine Person. And, since motherhood is of the person and not of the nature alone, and since Mary is the mother of Jesus, then she is rightly called the Mother of God. The Eastern Church calls Mary the Theotokos, the one who bore or gave birth to God. By her fiat, Mary consented to God’s desire to become man. Philosophers would call Mary’s agreement a necessary condition for the Incarnation. If Mary had not said yes to the angel Gabriel, God would not have become Incarnate. The Council defined Mary as the Mother of God both to honor her and to safeguard the dogma that Jesus Christ is not just truly God but also truly man. One cultural obstacle to honoring the Blessed Virgin Mary is cynicism. So often human beings have given honor to persons who utterly did not deserve it, like the honor given to Mao in China. There is also a cynicism running through American culture we might not even notice. Academia and the media attempt to tear down the founding fathers and those great men who went before us. However, after we have squarely looked at who our Lady is, how she lived her life, and what she has done for us, we can let down our guard and allow the natural human desire to honor great persons out. We honor Mary by actively participating in today’s Mass and in all the Marian feasts of the Church throughout the year. In these Masses and at other times, we give Mary hyperdulia, that is, highest honor, because of the gifts of grace God granted her and because of the way she responded to these gifts. We also honor her in all the forms of Marian prayer we say: The Rosary, the Angelus, the Regina Caeli, the Hail Holy Queen, the Memorarae, and so on. These are prayers we should pray so often we have them memorized. We can honor Mary by cultivating an interior life like hers. Mary meditated on, that is, thought about, the events of her life in relation to God’s plan of salvation. We are participants in God’s plan of salvation, too. We are God’s instruments and fellow workers in God’s kingdom. Everything that happens to us has a good meaning and it is up to us to try to discover and appreciate it. Her words at the wedding feast of Cana reveal her basic orientation, which we can apply to ourselves: Do whatever he tells you. We can honor Mary by praying for her intercession. As an obedient son, Our Lord did what his Mother asked him. He is no different now. If she asks her Son for something for us now, he will do it for us. However, what Our Lady wants for us above all is what she wanted for herself. She wanted for herself what God wanted for her. She wants us above all to have what God wants us to have. And that is basically Himself.